The residences by Bosa! Great value for this beautifully renovated suite! Tastefully renovated with engineered hardwood flooring throughout, Kitchen Aid stainless steel appliances, Silestone quartz countertops, kitchen backsplash, doublesink and faucet, Bosch washer and dryer, California Closets, high end light fixtures, window coverings and fresh paint....truly no expense spared! An entertaining sized 290 sq ft patio is off the living room with your own private gate! This would truly make a terrific home or investment property! Parking and storage included! Rentals allowed! 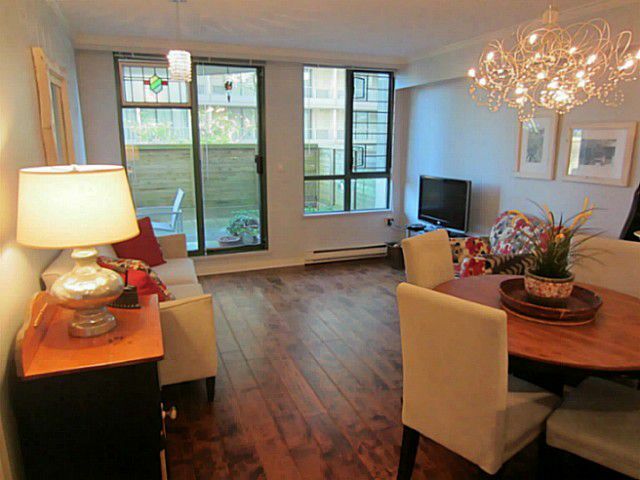 Very centrally located and only steps from Richmond Centre, Minoru Park and the Canada Line!